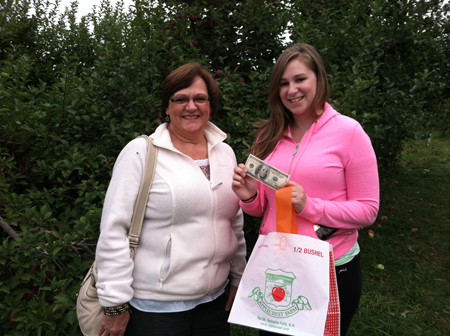 This past weekend, we once again stashed $100 bills in random pick-your-own bags to celebrate our 100th Anniversary! These ladies from Lynn, MA, had a lucrative morning. 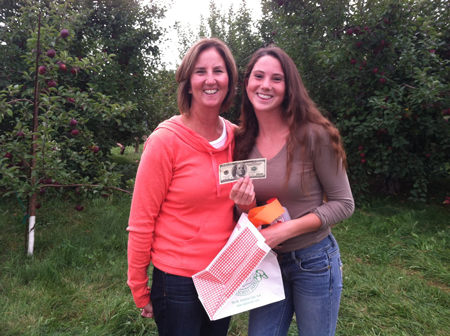 These winners from York, ME, picked apples AND raked in the dough! Three more weekends remain of our fall festivities—check out our Festivals & Happenings page to see what’s coming up and join in the fun!